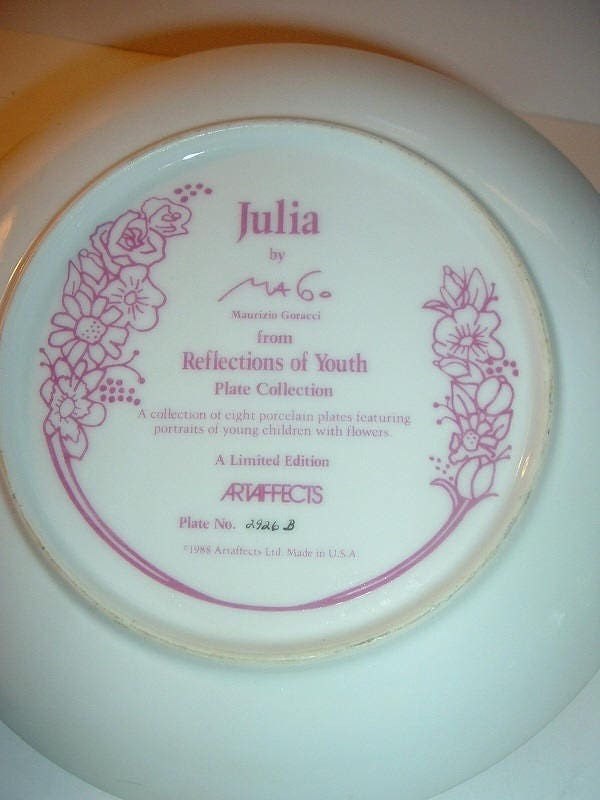 This 1988 Julia plate measures approx. 8.5" across. 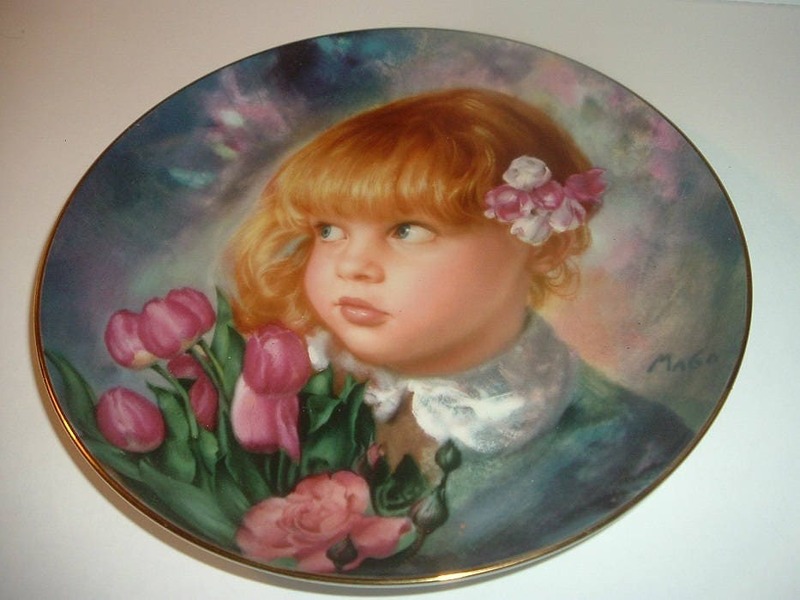 It is an Artaffects limited edition by Maurizio Goracci from the Reflections of Youth collection, and is in excellent condition with no chips, no cracks, and no wear or scratching. No box or paperwork for this one. I gladly combine shipping.